In severe cases of ankylosing spondylitis, the bones of the spine can fuse together over time, causing rigidity and a hunched posture. Ankylosing spondylitis (sometimes called “AS”) is a form of arthritis in which chronic inflammation causes stiffness and pain in the spine. The name ankylosing spondylitis comes from the Greek words “ankylos,” meaning joint stiffening, and “spondylo,” meaning vertebra. In severe cases, the bones of the spine can fuse together over time, causing rigidity and a hunched posture. In some people, ankylosing spondylitis can affect joints outside of the spine, like the shoulders, ribs, hips, knees, and feet, and rarely, organs like the bowels, eyes, heart, and lungs. 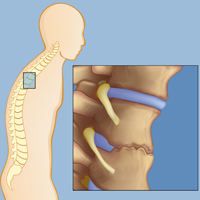 Ankylosing spondylitis belongs to a group of inflammatory disorders called spondyloarthritides. Other syndromes in this group include psoriatic arthritis, reactive arthritis/Reiter's syndrome, enteropathic arthritis, and enthesitis-related idiopathic juvenile arthritis. 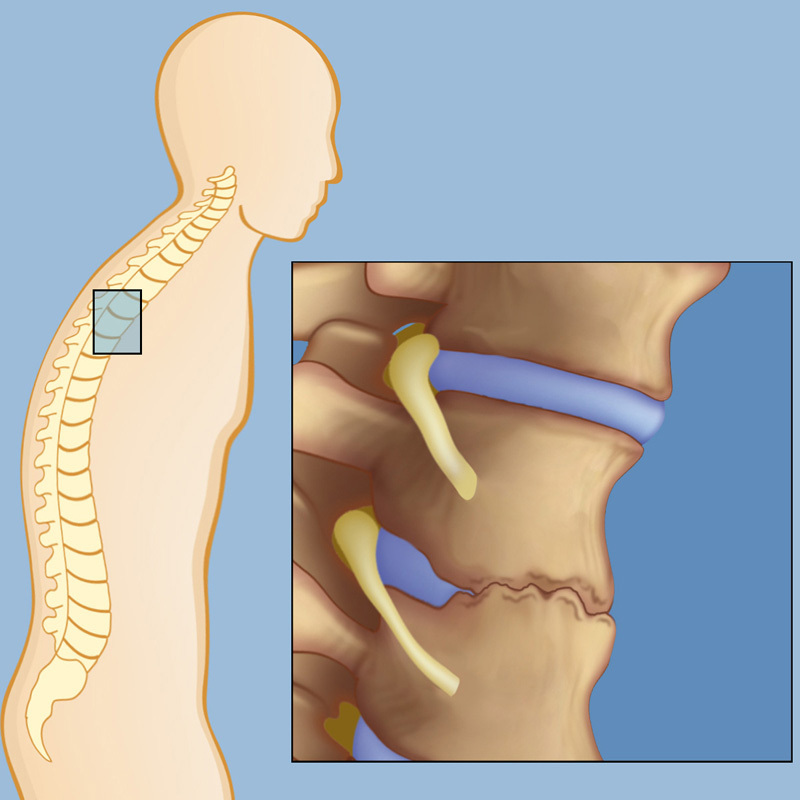 Spondyloarthritides are a group of inflammatory disorders that cause inflammation of the spine and sometimes other joints. Most of the people that have these disorders have a genetic predisposition to the disorders, and carry a gene called HLA-B27. These disorders have similarities, but they also have features that distinguish them from one another. The standout symptom of ankylosing spondylitis is “sacroiliitis,” or inflammation of the sacroiliac (SI) joints, where the spine joins the pelvis. Ankylosing spondylitis is a chronic condition characterized by periodic flare-ups followed by periods of remission in which symptoms subside. Although there is no known cure for AS, it is not life-threatening, and treatments can decrease the severity of the symptoms (see Symptoms of Ankylosing Spondylitis). Though the cause of ankylosing spondylitis is unknown, genes and environment seem to play a role. The majority of those diagnosed with ankylosing spondylitis are Caucasian males under the age of 45, but women can also have the disease. Most of those with ankylosing spondylitis have a genetic predisposition to the disease, and carry a gene called HLA-B27, though being a gene carrier does not guarantee a person will develop ankylosing spondylitis. Sometimes infections and intestinal bacteria can trigger the disease (see Diagnosing and Treating Ankylosing Spondylitis).